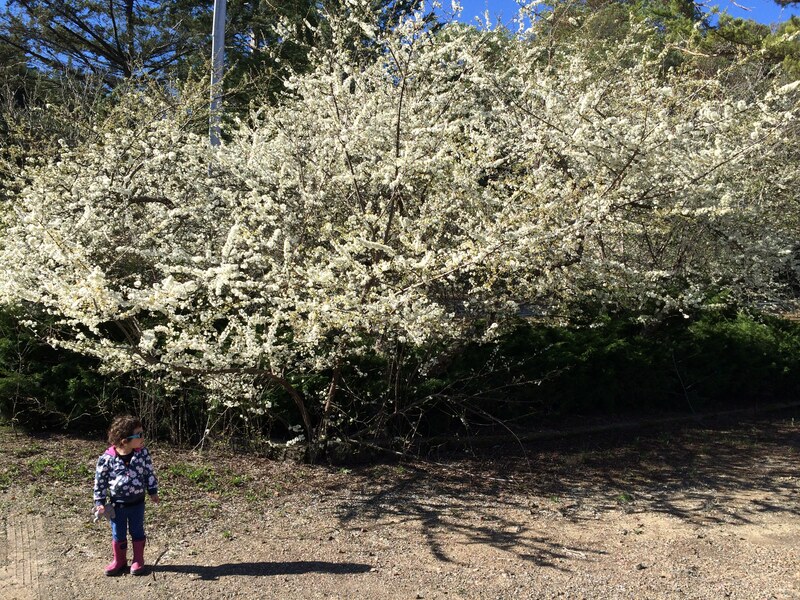 Spring has arrived with warmer temperatures and trees in bloom. We’ve planted a garden in our backyard at the house we’re renting. 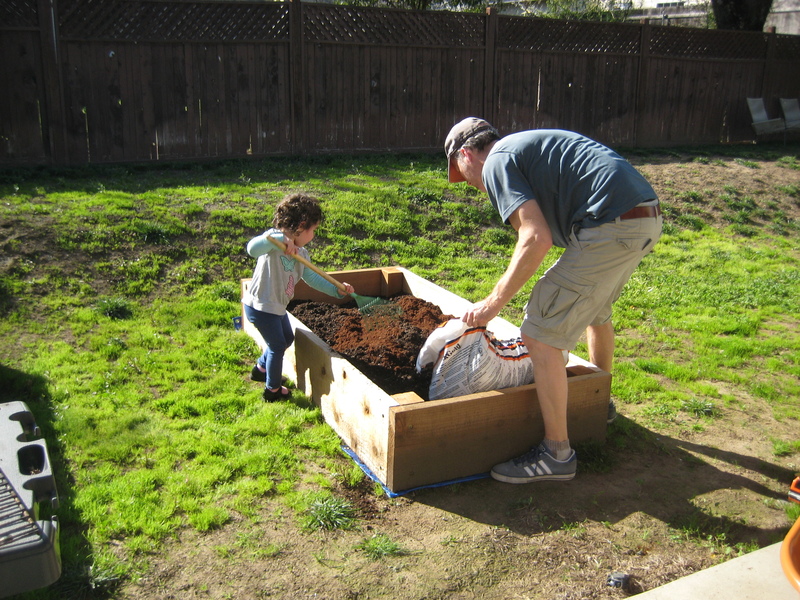 Neither Stephen or I have grown a garden of our own before (even though both of our parents are excellent gardeners) so this will be an experiment or at least practice for our garden we hope to have at the ranch next year. We’ve planted carrots, broccoli, tomatoes, sweet peppers, and mesclun lettuce. Zoey enjoyed playing in the dirt and letting the earthworms crawl in her hands. 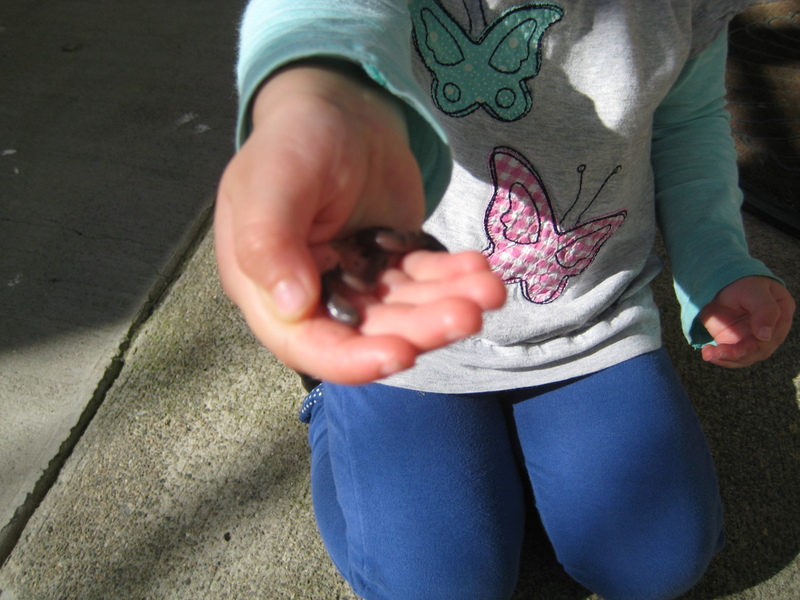 Zoey was offering me the earthworm to hold, but I declined because I was taking photos. Thank goodness I was holding my camera otherwise I may have had to be brave and pretend I like holding earthworms so I wouldn’t pass on my repugnance of earthworms to her. I’ll let you know how our garden turns out. 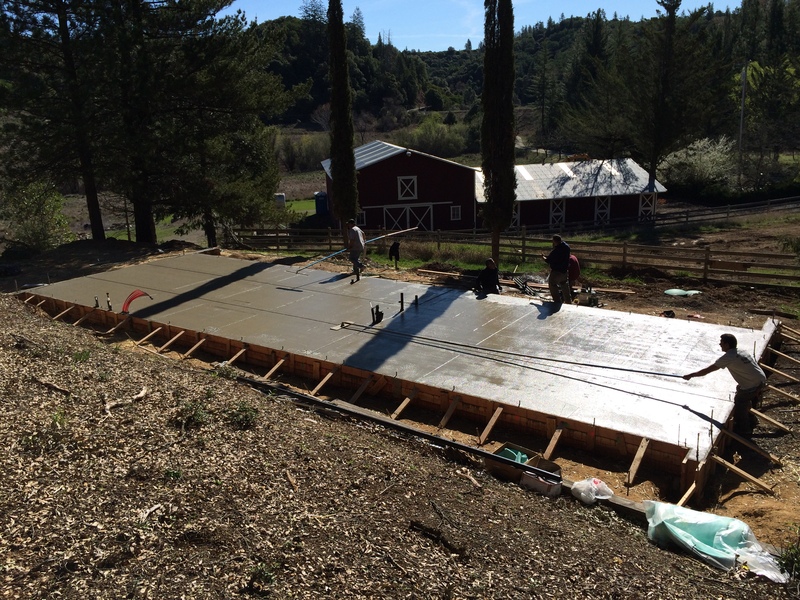 In house building news, our concrete foundation was laid last week. We’ll have to wait about 10 days before framing can begin. The concrete needs to harden so it won’t scratch because it will be our flooring in our house. Zoey and Stephen were out at the ranch the day the concrete was laid while I was at home with Zane. Zoey had a chance to put her hands in the wet concrete near where our front door will be. I was hoping we could all put our names in the concrete, but that wasn’t possible. So at least Zoey’s hands will always be a part of this house. I was remembering my visit with my aunt to my dad’s house in Old Chatham, New York while I was at Yale. My aunt and I were on our way to the Adriance Family reunion in Poughkeepsie, but stopped in Old Chatham to see the house where my dad lived (one of the many houses he lived in growing up). The older gentleman who lived there was very kind to let us strangers inside his home after my aunt explained she lived there as a child. He allowed us to go down to the basement to see where my dad and his sisters and brother wrote their names (or maybe it was their handprints, too? I can’t remember.) in the concrete in the basement of the house. All those years later and their mark on the house was still there. How cool. We wrote our names in the cement my dad laid in the basement by the furnace, Coal burning at that. Ah, thanks for clarifying. I really enjoyed that trip with you. We need to have another Adriance reunion and make a trip back there to visit again soon!